Sure do! 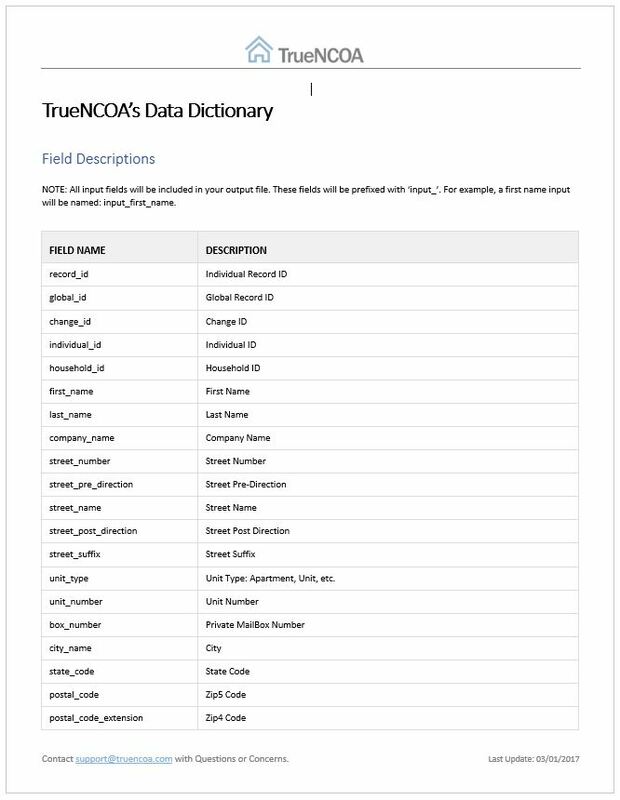 Access the TrueNCOA Data Dictionary below. This dictionary gives full details about each of the fields provided in your export. The dictionary is located in several spots throughout both the website and the app. We, also, include a link on your File Complete email.